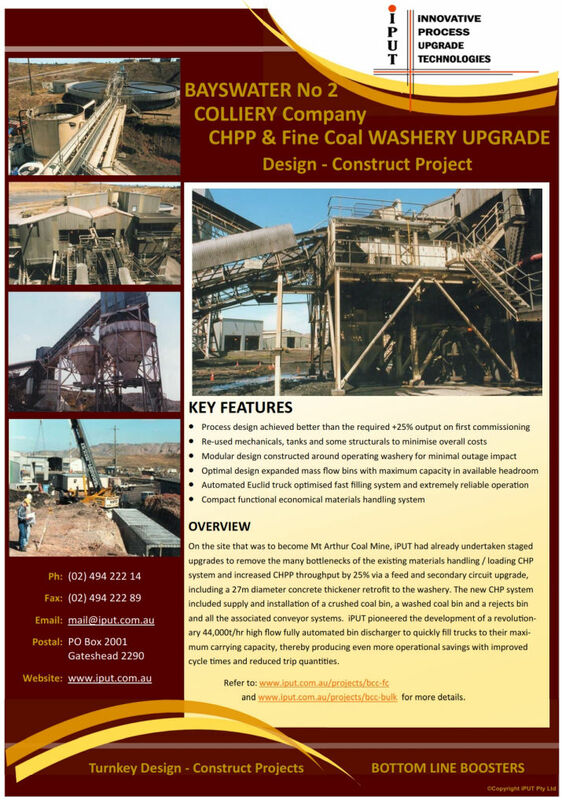 Design construct project for the supply and installation of three high rate discharge, expanded mass flow bins for crushed coal, washed coal and rejects, and all the associated conveyor systems. Automated Euclid truck optimised fast filling system; 44,000 tph on rejects. Gate design achieves fully loaded dump trucks. Compact functional economical system. The mine loved it!